Is there something that you want to try that’s new and exciting (but also a bit scary and overwhelming), and you don’t know how to get started? For years now (probably 10-15) I’ve been thinking about getting my pilot’s license. I thought it would be really cool to go through the process and achieve that. And the more I thought about it, the bigger it seemed, and the more I started thinking things like “Why would you get your pilot’s license?” . Fast forward to this year and I decided to just reach out to the local flying club and ask some questions. They responded back, invited me to their next meeting, and I went. They were doing an introductory lesson after their meeting, and covering topics about being a co-pilot. I sat through that, learned a lot, and got even more interested in becoming a pilot. Plus, I met a few really interesting people! Even though I’m not even close to becoming a pilot yet, I’m a lot closer than I was before I did anything. Make that first step to whatever it is you want to achieve. It’s the only way to get going. Whether you’re thinking of writing a book, starting an online business, or travelling to a new country, there is likely someone out there who has already done what you want to do. Find someone who has done the thing you want to do, and simply reach out and ask how they achieved that thing. They might have details for you, or would be willing to have a meeting or phone call to give you more information. If the thing you want to start is more business related, there are likely hundreds of YouTube videos about it, blog posts you can read, and Instagram posts with details of their process. You might even find a Facebook group you can join to be a part of a community of people who are trying to achieve the same thing, and who are there to support people just like you. Whether you have a certain goal, dream, or achievement you want to accomplish, write it down. Writing down your goals and dreams will bring you one step closer to achieving them. Write down your goals, and the action steps for how to achieve them. Be specific. 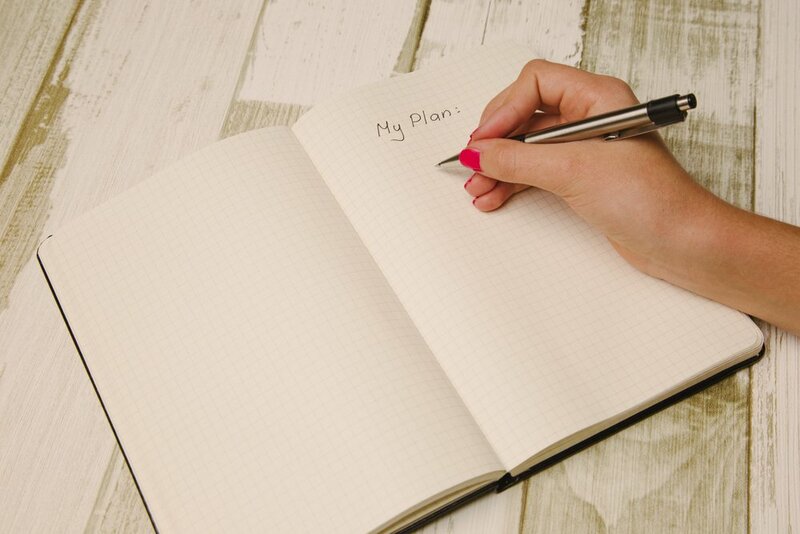 Write down the goal you want to achieve, by the date you want to achieve it by. This one feels the scariest to me, because telling someone a really big dream or goal can seem silly when you say it aloud to someone else. I didn’t even want to tell my husband that I was going to that flying club meeting! But why? I thought he would think I was being silly. Guess what his reaction actually was? He was thrilled, thought it was so cool that I was interested in becoming a pilot, and shared that he was actually interested in becoming a pilot too! Had I not shared a dream I had, I never would have learned that about him. Even though telling someone your dream or goal might seem scary, if you tell someone who has your best interest at heart, they should be supportive of you (unless the thing you want to do is unsafe!). The main message I want to share is that if there is something you’ve been dreaming about doing, there will never be a perfect time. You will always need more money, more time, or whatever. But life is short, and I want you to live a life you love. So start that thing today! Let me know in the comments the one big thing you want to start doing, and what small thing you’re going to do today to start working towards it!